Warrendale, and the rest of southeastern Michigan, saw a decent amount of snow yesterday. 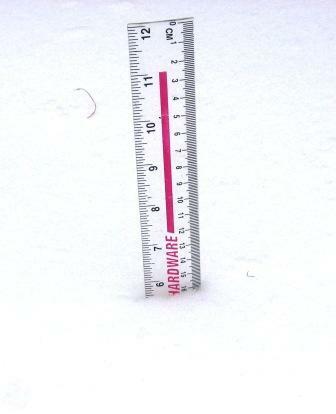 According to the Official Warrendale Snow Meter, we got 5 1/2 inches of snow in the past 24 hours. 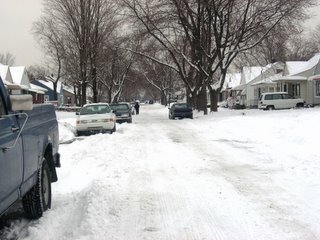 Of course, the really interesting part about this is that the City of Detroit has a policy of not plowing Detroit's residential streets unless there's at least 6 inches of snow on the groud. The fact that we only got 5 1/2 inches is a nasty combination. It means that we got enough of it to make travelling the side streets a mess, but not enough of it to bring the snow plows out. Nothing but unplowed sidestreets as far as the eye can see. prolly had it done independantly. I remember if some companies were taking up a collection and if they got enuf money, they would plow the street for them. My former street, Greenview; never raised enough money I guess..